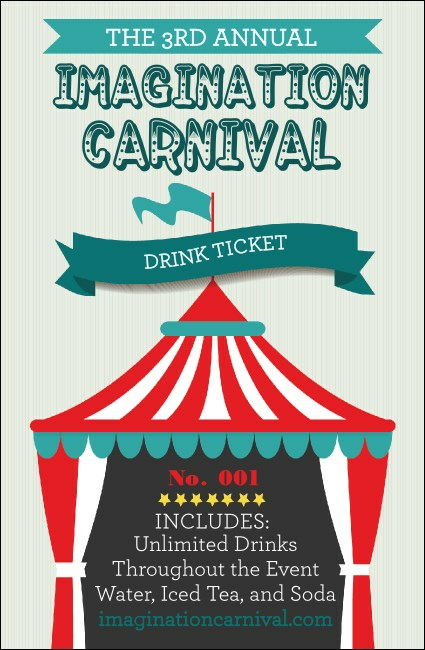 Step right up to this fun and festive Carnival Monkey Drink Ticket. Featuring individually numbered tickets for security, this ticket design includes bold blue and red colors and a big tent containing all your information. Printed on high quality card stock, this ticket will satisfy all of your cheerful guests! Need posters, fliers, or tickets for your street fair? Check out the selection at TicketPrinting.com!